A reminder to residents of the Hills Shire in Sydney, NSW; The Hills Shire Council will be holding a Free Computer Recycling Day on the 19th February. 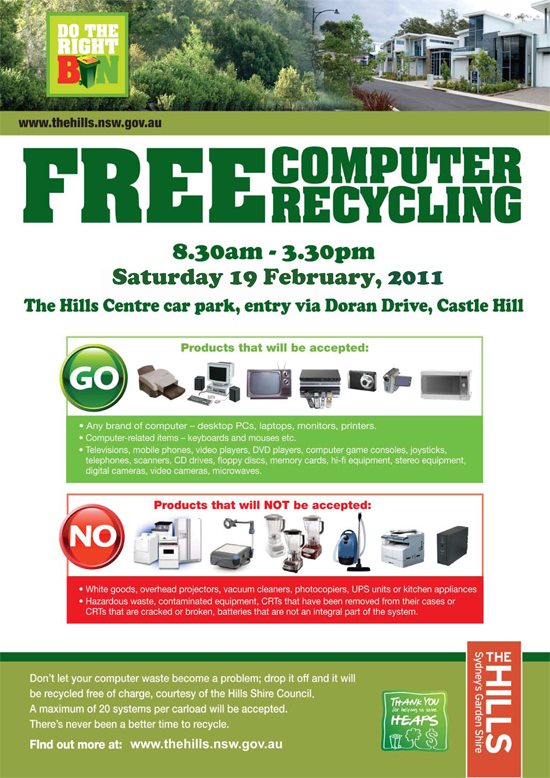 For more information, visit The Hills Shire Council. If you have a Green event that you wo﻿uld like to spread the word about, feel free to contact Project Seeds.